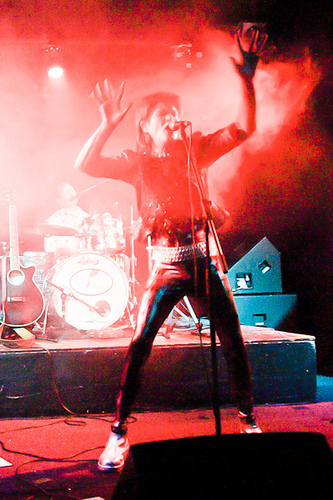 Effortlessly taking audiences through the shifts and turns of Bowie's legendary musical legacy. David Bowie is a rock and roll legend, switching images and musical styles like a chameleon. From his androgynous space/glam alter ego ‘Ziggy Stardust’ came the hits Rebel Rebel, Jean Genie and Space Oddity. As ‘The Thin White Duke’ Bowie released classics like Heroes and Sorrow. His reinvention in the eighties rocketed him to megastar fame with worldwide number one dance hits, Modern Love, China Girl and Let’s Dance. 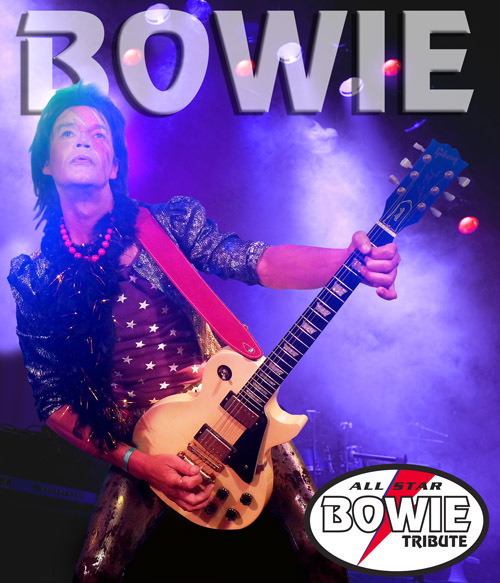 Onstage, the All Star Bowie Tribute featuring Tom Jennis, reproduces in stunning detail David Bowie’s distinctive vocal style and visual flamboyance. effortlessly taking audiences through the shifts and turns of Bowies legendary musical legacy. This tribute show can also be booked as part of the All Star Showstoppers tribute evening with the same nucleus of five musicians performing tribute shows to The Beatles, The Blues Brothers, Cliff Richard, The Rock Show, Frank Sinatra & the Crooners, Abba, The Rolling Stones and the unique All Star Supergroup Finale!